Disaster! Greg’s dad, Frank, has had enough of having a wimp for a son! He’s decided it’s time to toughen Greg up and make him much less, well, wimpy. All manner of ‘manly’ physical activities are planned, but Greg just about manages to sneak out of them. But when he hears the dreaded words ‘military academy’, how on earth will Greg get out of this fix? The third hilarious comic-strip diary in the No. 1 bestselling series. It was funny and I like all the books.the way greg is I think is cool.thats why I voted 5 in a half stars I would of voted 5 but I have and havent realy see the books I just haven’t seen the first book. I love this book, you should totally lol because I did. This book is awesome!!!! I recommend it to everyone. I would now like to read book 4 (dog days) because people say that is amazing to. i found this book really funny and i loved it when Rodrick locked him out hahahahaha!!! I would really like to read this book. It sounds great. Although I have read Diary of a wimpy kid the first book. 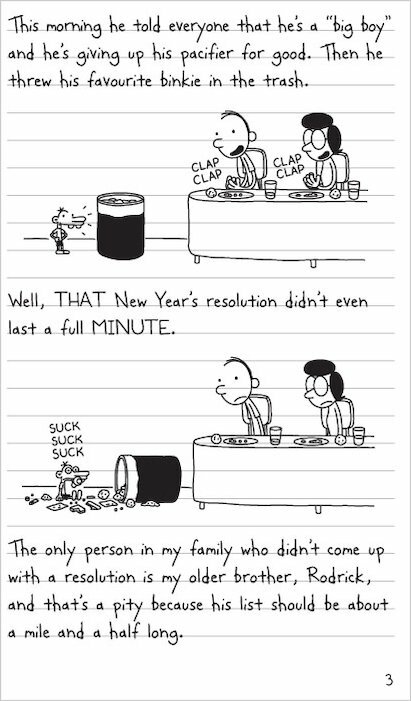 Everything Greg seems to do has hilarious consequences and his family are very funny. In this book it is summer vacation and even though it is nice and hot Greg insists on staying inside hooked up to his video games with the blinds drawn. His mother is tired of Greg being lazy and decides that this summer should be fun and packed with family activities. This book was very good. My favourite character has to be Greg as he can be horrible but the audience always roots for him anyway! I really like the part when Greg’s mum is forgotten by the whole family at a petrol station in the middle of nowhere – it is hilarious. I recommend this book to readers around 10-13 who enjoy reading as it is quite easy to read, but it has some challenging words as well. I give this a big 5/5 because I enjoyed reading it so much. Love this book especially the part where Greg tries to please his dad so he doesn’t get send off to spag union. I found it funny when Rodrick tricked Greg into walking outside only in his underpants! best book ever sooooo funny!!!! This is the third book and Greg wants to try and make himself more manly. I think this book is fun to read and interesting. 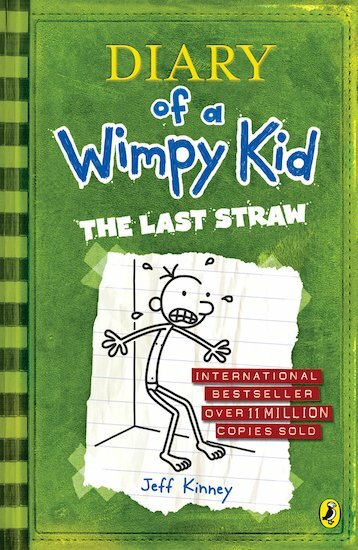 When I fist herd about Jeff Kinney’s work I started to read and I really enjoyed the first one then he brought out more diary of a wimpy kids so I have read up to the last straw. It is very funny. And I think that Jeff Kinney deserved to be author off the week he is a fantastic author and as fantastic ideas so that’s what I think off Jeff Kinney’s work and the past straw is amazing SO far! The last straw is filled with humour. 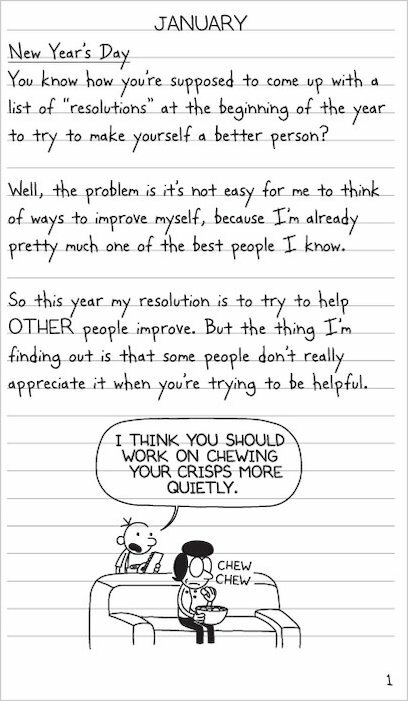 Jeff Kinney always does a wonderful job writing as Greg. This is my second favorite book in the series. As a middle school student I can tell you that about sixty percent of all middle school students think fifty percent like Greg Heffley. this book is really nice because i like raeding diary book Do you to? ?? ? i badly want to get this book. How will greg get out of militairy academy. Its the weirdest one yet O_O. I think that this book was good, but it’s not the best Diary of a Wimpy Kid. Anybody that’s read the Last straw I would love to hear from you because I really want to read that book. I think this book is great it’s cool- REALLY cool and for children 8 and over if you haven’t read to tell you something secret. 8 and overs, look carefully. Do you want to win a fantastic diary of a wimpy kid: dog days kit? Well 8 and overs, listen up. All you do is you have to know the main characters name. It is Greg. Go to “win stuff”, click the dog days kit. The rest is up to you!!! IT WAS OK IT WAS NOT AS GOOD AS THE OTHER ONE’S!!!!!!!!!!!!!!! The Last Straw is a hilarious book about Greg Heffley. I have read the whole series and think that they are great! 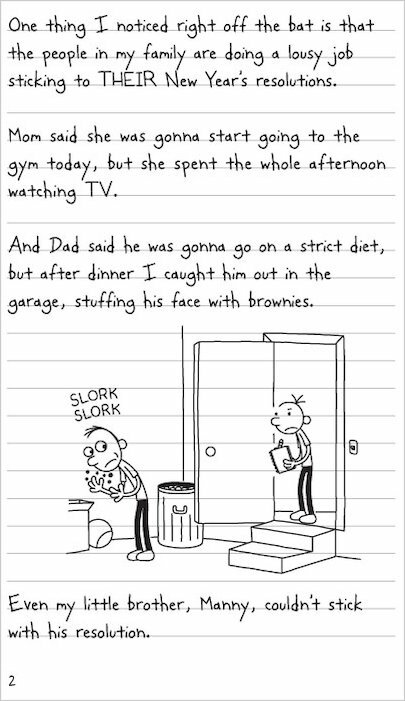 This one is funny because Greg’s dad tries to make him do loads of activities Greg doesn’t want to do, and Greg’s reaction in his diary is an original idea. The funniest wimpy kid book especially how Greg is distracted when playing football. Top ten books ever period. I finished reading this book a couple of months ago and i absoloutley loved it !!! I have read the red, blue and green one and am now reading the yellow and the last straw had to be my favorite. It was filled with comedy and humor and funny hand drawn sketches and i absoloutley love the diary style. 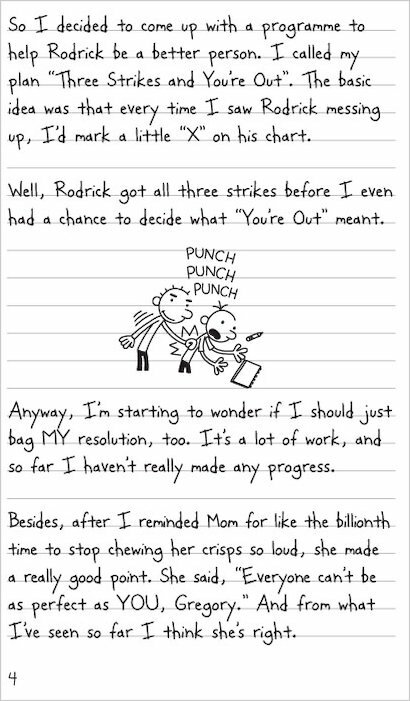 I love reading about all of the mischief Greg, Rowley and his friends get up to and i really recommend this book to any people who love to read comedy and have read and enjoyed the previous diary of a wimpy kid books. 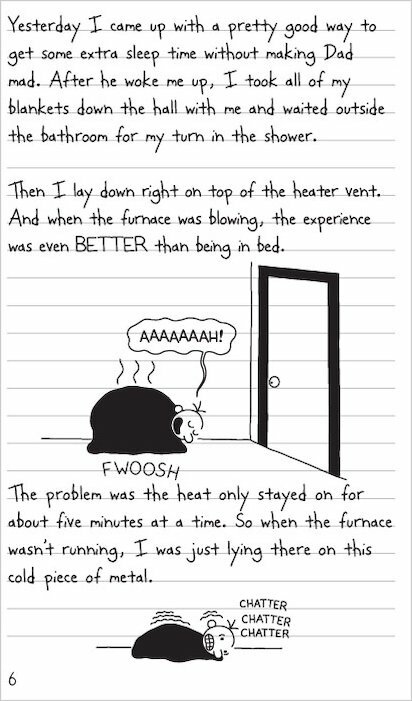 i love diary of the wimpy kid because i think it just rocks. This was alright but not as good as the last two. Well if you would like to read this book you should read the other ones first!! 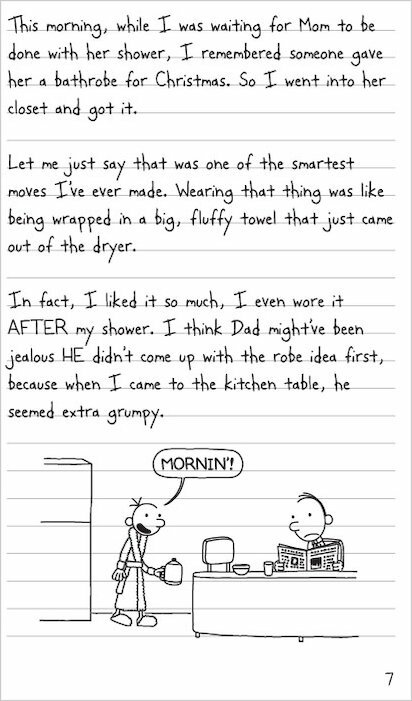 these Diary of a wimpy kid books keep getting better and better! This book was hilarious. I devoured this book as fast as I devour a bar of chocolate! Oh dear. Gregs really not made for sport. His Dad makes him try out for football but he is more interested in blowing danndylions. Yes super funy reading I love the stories please bring out more cant wait to laugh at the silly things all over again. I adored this book after reading the immense features Jeff Kinney uses to make Greg seem real. The more Greg seems sad and his life is more depressing the more the reader will enjoy this book. I would give this book 10/10. Diary of a wimpy kid is a huge sucsess I really like the part where Rowley eat the cheese and just whilsted. It is very very funny. I think it is very creative. 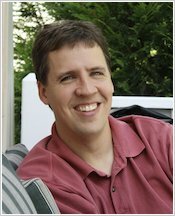 Congratulations to Jeff Kinney. this book was fantastic you have to try reading this !!!!!!!!! That book is really funny its really fun when he gets woken up by his dad then he has a nap when his dad has gone it hilourous!!!!!!!!!!!!!! I want to read this!!! The Last Straw is the funniest book I have ever read. This is the best one yet!! This book is very interesting and i laughed my head off !!!!!!!!!!!!!!!!!!!!!!!!!!!!!!!!!!!!!!!!!!!!!!!!!!!!!!!!!!!!!!!!!!!!!!!!!!!!!!!! this book is good for about 9 or 10 years old and it is really funny. I would recomend this book for people who like cartoon diaries.READ IT NOW!!!!!!!!!!!!!!!!!!!!!!!!!!!!!!!!!!!!!!!!!!!!!!!!!!!!!!!!!!!!!!!!!!!!!!!!!!!!!!!!!!!!!!!!!!!!!!!! If you love the Diary of a wimpy kid series you’ll love the third installment. 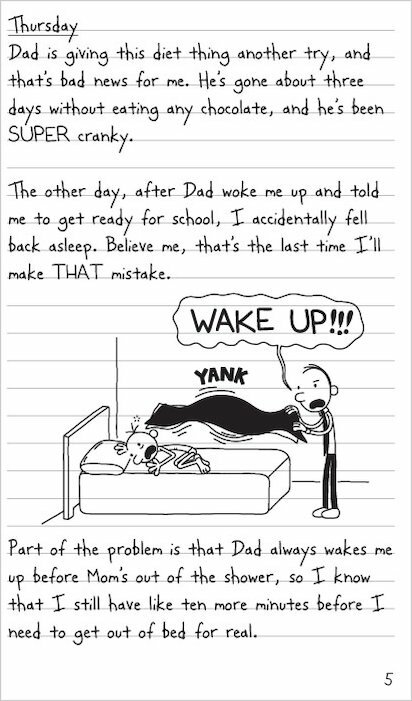 In this book Greg gets trapped out his hotel room only wearing underwear and his dad might be sending him to a boarding school. Join Gereg on his 3rd Year of middle school in this very funny book!